"We will meet and greet your clients at the airport, be with them throughout their stay and activities then bid them farewell at the airport or other onward destinations"
Falcon Safaris is the leading indigenous ground handling company, we know Zimbabwe, Zambia and Botswana intimately, and delight in sharing its treasures with every visitor, and surpassing every visitor's expectation. With full confidence in the destination, Falcon Safaris is the ultimate professional services company possessing extensive local knowledge, expertise and resources specializing in the design and implementation of events, activities, tours, transportation and program logistics. Because we own our fleet of buses, minibuses and luxury sedans, cruise boats on the Zambezi, white water rafting, a fishing safaris operation, well experienced guides and a dedicated team of consultants Falcon Safaris is your perfect general contractor who builds the building when it comes to your destination management. We possess the skills, resources and relationships to listen to our clients' objectives, provide timely, creative, cost effective proposals, and deliver those objectives with perfect execution, we are able to exceed the expectations of our clients. 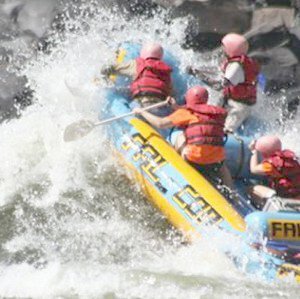 We Provide the following services in Victoria Falls, Livingstone and Chobe..
Falcon Safaris has emerged as Victoria Falls leading transportation services, tours, day activities corporate event planning team, excelling in teambuilding, strategic marketing events, special event planning, meeting management, and staffing! Our event planning team are experts in site selection, coordinating registration and managing state-of-the-art audio/visual and entertainment production. From imaginative invitations to beautiful décor, our Falcon Safaris team can handle it all. Our experienced and talented destination management company will treat you and your guests with true African hospitality and impeccable service from the instant you arrive until the time you depart! Whether you’re planning a tour of th Falls, a murder mystery in an old mansion, meet and greet services for your out-of-town guests, a customized theme event, or an afternoon of energizing team building, Falcon Safaris. is your destination management company of choice!